To extract, dispense and transport bulk materials. Sizers for small-medium productions. A vibrating motor alone. High performance, multi-screening equipment powered by two energy saving electric motor vibrators, the linear movement provides high capacity and extremely effective screening. ROLLIER specialises in vibrating equipment. We are dedicated to the design and manufacture of vibrating machinery for industrial processes. Besides the head office in Madrid (Spain), ROLLIER has branches in Europe (UK) and South America (Chile), offering our customers a faster and more direct service. 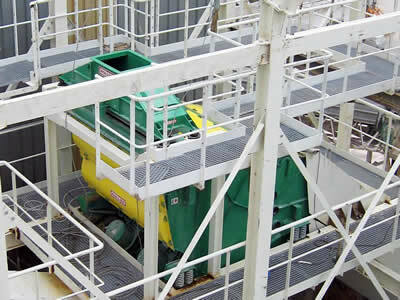 Equipment manufactured by ROLLIER are present in companies around the world, installed in environments such as mining, agriculture and food, pharmaceutical, powder materials, foundry, stone, wood, aggregates and concrete, plastics, recycling and other industrial activities which are handled bulk products, waste or pieces.